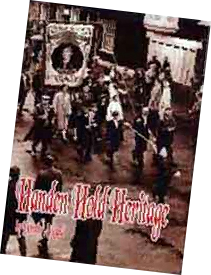 A new book called “Handen Hold Heritage” by author Dorothy A. Rand was launched on Wednesday 9th July 2008, at West Pelton Primary School, Twizell Lane, West Pelton. The book is described by the author as being a collection of memories and historical information taking the form of a scrapbook rather than a definitive account of the collieries history. Those who are observant, will notice that the banner spells “Handen” as “Handon”, the reason for this is revealed in the book. The cost of the book is expected to be around £10. 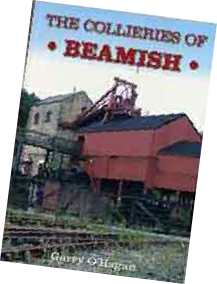 A new book entitled “The Collieries of Beamish” has recently been launched by author Garry O’Hagan. The book covers the collieries of Beamish Mary, Beamish 2nd Pit (now rebuilt at Beamish Museum) Handen Hold, the Alma (at Grange Villa), Twizell and East Stanley and focuses on the geology and history of the area, the machinery and mining methods, together with what a miners life was like during the heyday of the coal industry. The book displays around 120 pictures/images and is priced at £12.95. This book is by local historian Dorothy A. Rand with photographs supplied by George Nairn. 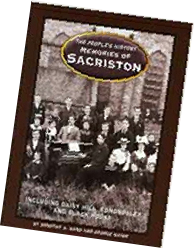 It's another of The Peoples History and Memories Series and as well as covering Sacriston as the main focus of the book, Daisy Hill, Edmondsley and Black House are also included. Again, reasonably priced at £9.99 (Plus P&P) the book can be obtained on-line from Amazon, or locally at Chester Grove Garden Centre and Edmondsley Garden Centre. A book published by County Durham Books towards the end of 2008 is a collection of photographs donated by locals to Sacriston Library over the past year. The introduction is by Sir Bobby Robson who was a native of the area and took a great interest in local events and during 2008 opened the new Sacriston Medical Centre. The book can be obtained from local libraries and costs £3.50. 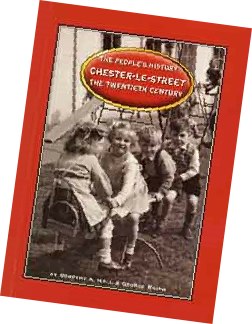 Chester-le-Street - The Twentieth Century. Authors: Dorothy A. Hall & George Nairn. This book was first published in 1999 by Dorothy A. Hall & George Nairn and has been re-issued due to popular demand and as a result of increased internet website prices. This is an ideal reference book and a "must have" for anyone who has an interest in the town and surrounding area. It will also make an excellent present and being listed at its original price of £9.99 (Plus P&P)it won't break the bank. A thousand copies have been produced and it will be still available on-line at Amazon, or it can be obtained locally at Chester Grove or Edmondsley Garden Centres. Authors: Russell Gray, Jim Corbett, Jonathan Shipley & Neil Anderson. A new book by the Air Crash Investigation and Archaeology Group (ACIA) has recently been published, which covers the story of F/Lt. Vincent "Bush" Parker who was born in Chester-le-Street and who's story is described elsewhere on this website. 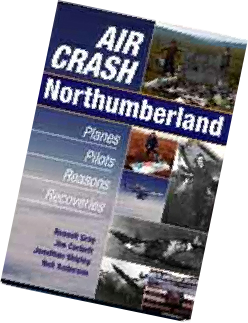 The book, Air Crash Northumberland describes in more detail the Aircraft, the Crash and the Aftermath and contains photographs and background information supplied by Chester-le-Street Heritage Group. The book is available at Chester-le-Street Library and can also be obtained through access to Amazon's Internet Website. Another book by Dorothy A. 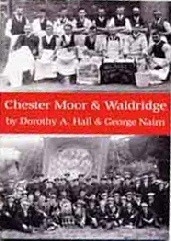 Hall and George Nairn has just been published, which covers the subject of Chester Moor and Waldridge. The book can be obtained on-line at Amazon or locally at some local Garden Centres and through this website. Just use the Mail Form section of this website to express your interest and we'll contact you and let you know how you can obtain a copy. The book is priced at £9.99 and there will need to be a small charge for postage and packaging. Recently launched in November 2012, another new book by Dorothy A. 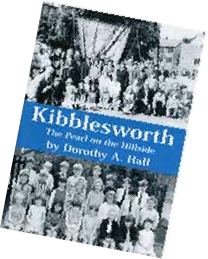 Hall, this time focusing upon the history and people of Kibblesworth. The book is available via Amazon, Chester Grove Garden Centre and Edmondsley Garden Centre. It is priced at £9.99 (Plus P&P)and would make an excellent present for anyone who lives or lived in the area and anyone interested in the history of this village. 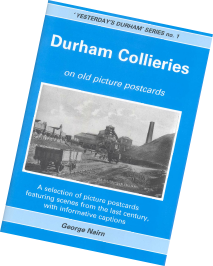 A new book published December 2016 by George Nairn, is a selection of old postcards from George’s own collection, which covers many of our local collieries. The book includes postcards of Kibblesworth Colliery, Tribley Pit, the Alma Colliery Grange Villa, Thomas Pit Craghead and several pit disaster poscards particularly the Burns Pit at West Stanley where 168 men and boys lost there lives in February 1909. If you’re interested in the mining industry of Durham County then this book is well worth the £4.95 price tag.